It seems like, any more, subscribing to a service or software means you’ll have to wade through a lot of different side features and tools that you really just don’t want, all to use the few things you actually need. At Mortech, we understand the frustrations this can bring on, and we’ve made it easier than ever to get just the mortgage software and tools you need, without having to commit to a bunch of random features you don’t. Simply want to advertise your rates online to sites like Zillow®, Bankrate®, and Lending Tree®? Our Auto-Quoting tier is perfect for auto-quoting even just one lead source, while feeding your real-time rates online accurately and quickly, as well as providing you with lead management and email marketing solutions to stay connected with potential borrowers. Or perhaps you want to advertise your rates with multiple lead sources, instantly price loans on demand, and integrate your LOS system. Our Professional Tier does all of that, and provides a best execution mortgage pricing engine, as well as automated borrower management tools. Need a solution for your secondary desk, as well as a robust pricing engine? With Mortech’s Secondary Tier, you get all the features from the Professional Tier, but also have access to secondary desk tools for lock pipeline management, LOS integrations, and Historical Pricing functionality, features that can save you several hundred hours of manually researching and re-pricing locked loans throughout the automated process. Need a solution for automating and streamlining TPO management? With the Multi-Channel tier, you’ll have access to rate sheet generation, as well as TPO management for retail, wholesale, and correspondent lending, all at your fingertips. This all comes with a centralized secondary desk, borrower management, product eligibility, and pricing tools, ensuring that you’re covered from top to bottom, no matter how big your business. 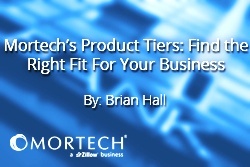 Mortech’s product tiers provide easy access for you to get your hands on everything you need, and passing up on all of the things you don’t want. To find out more, you can schedule a consultative demo today, and find out what you’re missing without Mortech and Marksman.